Victory on home soil for Miriam in Eidsvoll! 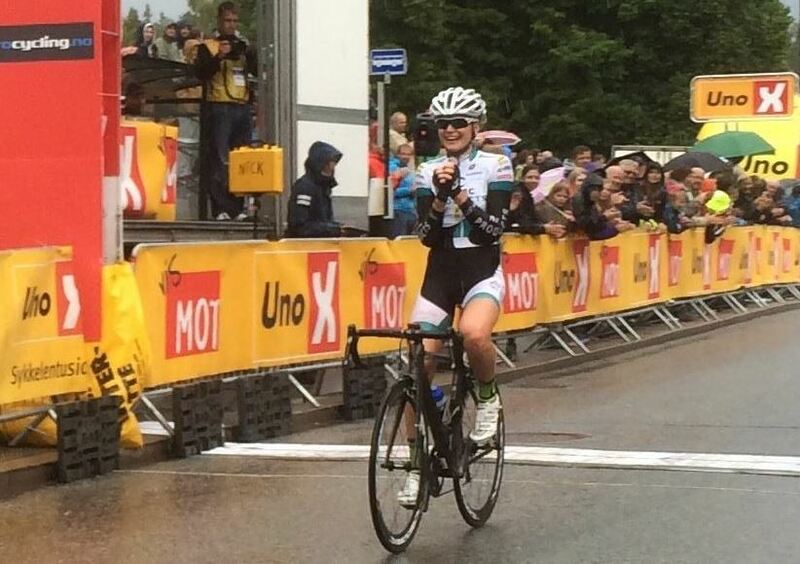 The national criterium championships in Norway was a new success for the team. Miriam broke away after 10 rounds and soloed to victory. In the following bunch sprint Emilie and Tone completed the podium. Julie had the godess of time on her side when she won the Danish ITT with 29 hundreds of a second over Vallin. Audrey did not when she took a nice silver in France, but lost the gold with an agonizing 2 seconds. In Norway Cecilie dissapointed herself with the bronze, when Emilie had a good day with 7th place. Sara took a fine 6th in Sweden after being 4th halfway. Elisa again showed her world class with 5th in a very tough staring field. Ashleigh likewise with her 8th place.